We all know that being an entrepreneur is a juggling act. 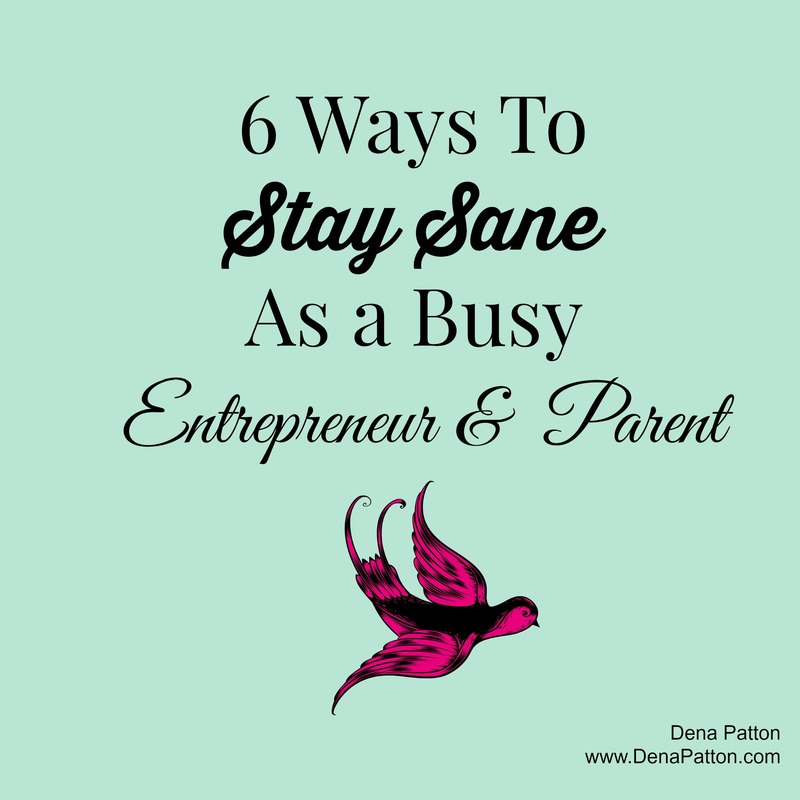 We have many roles in our lives and as a Mom of an active daughter it is especially hard for me sometimes to satisfy the Mom role and the Business Owner role. I never look at “work life balance” as a game that should have an equal balance of time dedicated to each. That is not possible. But there is a ‘balance’ in it all. I have found six things as my saving grace to keep the balance. One thing I want to add into this article is a profound, but simple, tool called the 10/10/10 rule. I learned this years ago, which is a tool to help us make good choices when it comes to the balance between life and business. So, when I have a business choice to make that will affect my family I ask, “how will this affect them in 10 minutes, 10 months and 10 years from now”. It’s a great way to filter things so I can pick and choose what will impact them the least. For example, if I had a business trip out of town at the same time of a big event for my daughter she will probably remember that one for years and years and the impact is high. My commitment is that doesn’t happen at all, and I do my best to move my business items away from the ‘big life events’. But don’t be fooled into thinking that juggling a family and a business is easy because the number one thing it takes is self-discipline, which most people aren’t naturally great at accomplishing. It takes practice! Over 13 years of being a coach I’ve created growth strategies, systems, structures, boundaries and formulas for my clients to win in life and business. However, without self-discipline none of it will work. So this list of 6 will help you on the journey to keep sane, keep ‘balanced’, keep healthy, keep your business thriving and keep family life strong, but it’s up to you to have the self-disciple to make them happen. I hope they help! 1. Honor yourself by managing your own capacity (i.e. setting realistic limits, delegating, and only booking yourself and 85% or less of your allotted time so you have time to breathe). Many entrepreneurs have stress related illnesses, diseases or end up dead because of this one principle. So start today and honor yourself and your capacity. Get help or support if you have troubles doing this. 2. Create a self-care plan and stick to it. 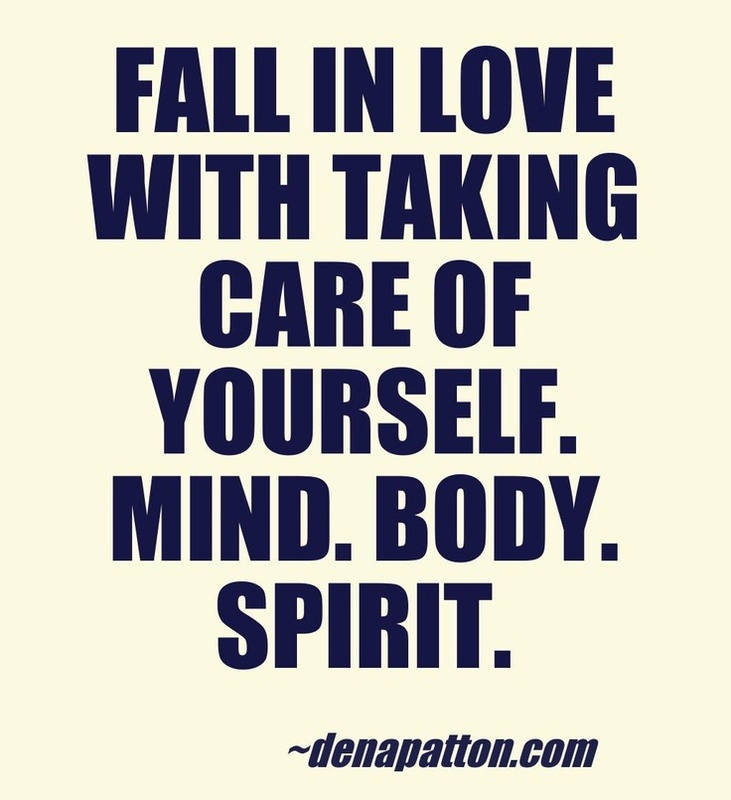 If you are unhealthy in one or more areas: mind, body or spirit, then your life, business and relationships will follow. How we do one thing is how we do everything! 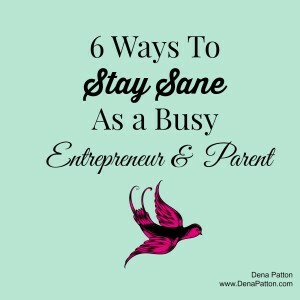 You are the core foundation to your business (and your family) so your self-care MUST become a priority. My question to you is: do you know the difference between working late and working yourself to death? 3. 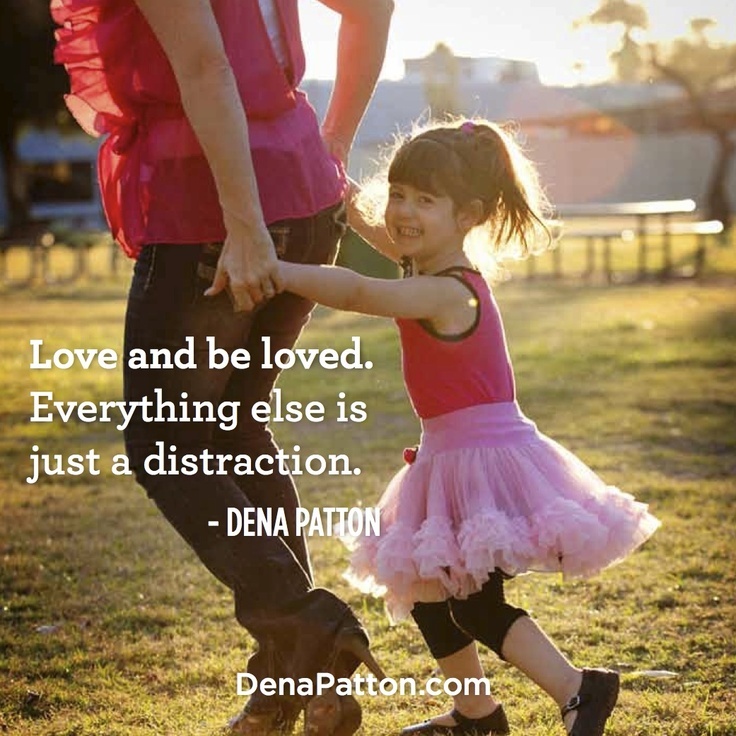 Simplify your surroundings and get rid of ‘stuff’ that isn’t useful, beautiful, loving or serving you. Physical clutter, even in the smallest places like your desk, wardrobe or car, will stop you from being your best self. Dedicate a weekend to cleaning out your closet, cleaning your home office and bringing your car to the car wash. These three things will bring more ‘margins’ in your life and allow you to breathe easier. If you need help ask an OCD friend who loves to clean or hire an organizer! 4. Take a break from your daily roles by spending at least 10 minutes or more a day in prayer/meditation/reflection along with doing a red flag inventory check. We have all made mistakes in our lives, and if we look back on those mistakes there were probably red flags to ‘warn’ us (which we ignored or didn’t see). But the good news is when you watch for the red flags, THEN you listen to them when they show up, you then will see that many mistakes, bad choices and drama will be eliminated from your life. I spend an hour in prayer and reflection each morning because of the big game I’m playing in my business, the bigger the game the more time I need to get grounded and pray. Up until a year ago I spent 10-15 minutes a day, but I believe our spiritual health is the foundation for everything, so I needed to spend more time each day. 5. Define your personal boundaries because people will not honor your boundaries “just because.” You must honor your boundaries first, then others will follow. This is a big one for women with employees or kids. Can you think of one person that will always say yes to you – we know that they will say yes and often take advantage of their ‘lack of boundaries’. Remember, we are always training people how to treat us! Also, you must have boundaries for your business – just because you CAN work 12 hours a day it is not healthy. Set a schedule for ‘work’ and stick to it! 6. Keep good company in your God, your family and your friends. This is a no brainer! If you have a faith/religion that you follow then I highly suggest to have it be an active part of your day-to-day life. Also be sure to surround yourself with family and friends who support your greatest self, not your smallest self. Years ago I had to clean house because I had a few friends who only wanted to gossip, pull down, make fun of and be drama makers, no thank you! Remember, can only step into our greatness when we stop playing smallness games. Whatever ‘title’ you are in your business or career remember that it is only one role that you have, and that your marriage, kids, friends, parents, family, health and community need you too. Our purpose is to love and be loved and when we forget that we get caught up in the grind of things which often breaks us, breaks our marriage and breaks families.